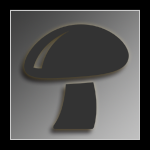 FOR MUSH PUPPY: Regarding his Parasol looking manured shrooms. A walk in the park in Hawai'i. Any ideas? For mjroom re: P. semperviva and indigenous use of species in Mexico. Would appreciate a second pair of eyes on what i think is turkey tail, this is my first time foraging. Any danger to hunting Chaga ( Inonotus obliquus ) i need to know about. What are yall findin up in northern oregon? No spore print but curious of any id. Hi Everyone! Need some opinions if you don't mind! Another ID please? Possibly some Cordyceps. Is this chicken of the woods? Anyone live near wild Lion's Mane? Wild South Carolina Mushrooms. ID anyone?